There was much concern amongst dive guides and tour operators in Belize after the international Professional Association of Dive Instructors (PADI) sent out a strong letter regarding unsafe dive practices at the world renowned Belize’s Blue Hole. 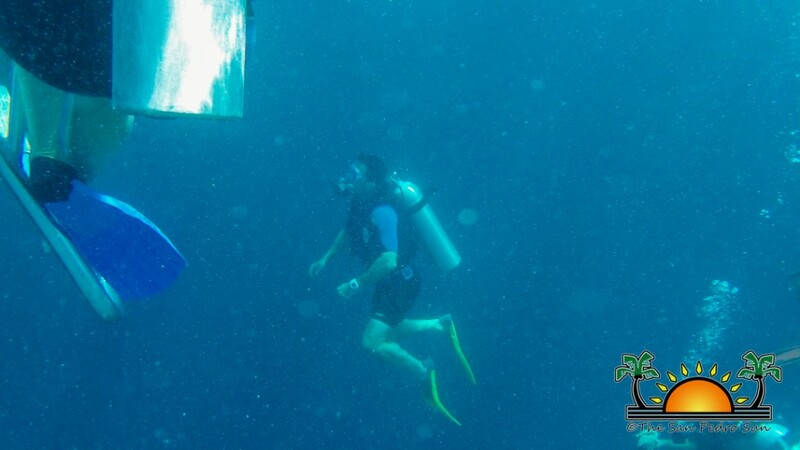 The letter, which was copied to the Belize Tourism Board (BTB), made reference to instances where newly certified or novice divers were taken to a depth of about 130 feet without deep diving training or experience, which violates the code of practice. The letter also reminded tour guides and operators that safety of diving clients and students is the first priority and responsibility. “Although these dive tours may not be course training dives, they may still violate the intent of the PADI Standard Safe Diving Practices Statement of Understanding and may place insufficiently trained or inadequately equipped divers in harm’s way. If your intent is to provide a guided experience for someone without previous deep diving experience or training, consider the level of supervision provided as well as the ratio and the overall depth, and whether taking these divers to a depth of 40 meters/130 feet is really necessary to introduce divers to the thrill and excitement of the Blue Hole.Should an incident occur, your actions, while acting in the capacity of a dive professional and PADI Member, will be scrutinized. Violating the PADI Standard Safe Diving Practices Statement of Understanding, especially while supervising divers, may increase your liability. Further, depending upon the specific circumstances, this could also jeopardize your PADI membership,” states the letter. That letter became a subject of discussion at a meeting with PADI representatives on Monday October 28th, which was attended by various diving stakeholders on Ambergris Caye. Speaking to The San Pedro Sun, Linda Van Velsan, PADI’s Manager of Quality Management explained the circumstances of the letter. “When PADI receives complaints from other PADI members, about what may have transpired at Blue Hole, we follow through with these complaints. After receiving several of those complaints over the past several months, it was decided by PADI to send out a reminder email to the membership just to remind them to use good judgment when taking newly certified divers. These are divers who have only done four dives before going to the Blue Hole immediately following their certification or a new diver who has limited experience and definitely no deep diving like is the case at the Blue Hole. It’s a reminder to them to use best judgment,” Velsan explained. Leslie explained that such a letter highlights the urgent need for a dive policy to be put in place that will address how dive operators and guides must follow rules when engaging customers in high-risk activities. The letter brings into perspective the need for Belize Scuba Diving Standards. According to Thompson, BTB is working to establish a legislation that will seek to put in place various standards in the tourism industry including scuba diving. “We are working with various stakeholders including the Belize Bureauof Standards to create our own Belize Scuba Diving Standards. But we cannot create any standards without the enforcement and the legal framework to back up the legislation. We are completing the consultation for the dive policy and for the creation of scuba standards, and we are moving aggressively on it.” Those standards are expected to be completed by March of 2014. 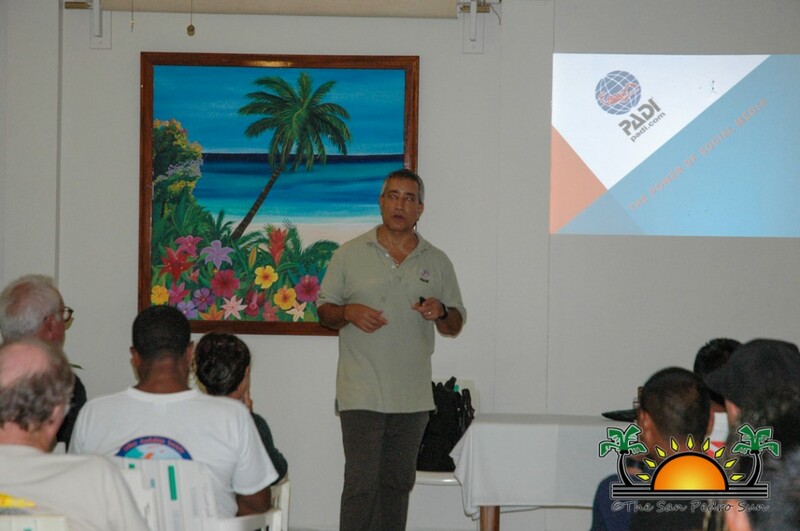 PADI maintains that it is not telling tour guides and operators how to run their businesses, but rather reminding them about the safety standards when engaging newly certified divers. 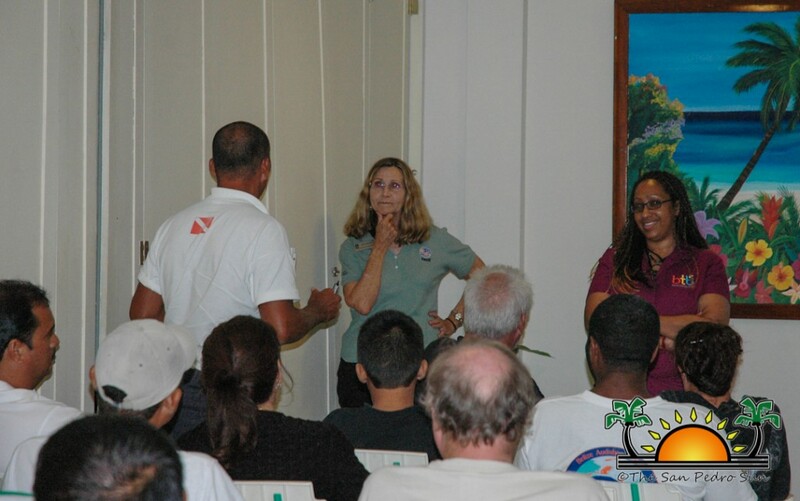 During the meeting, several dive shops were present where they had the opportunity to ask questions, express concerns and listen to responses from the PADI representatives. Juan Carlos Montejo is the island’s newest SCUBA Instructor!